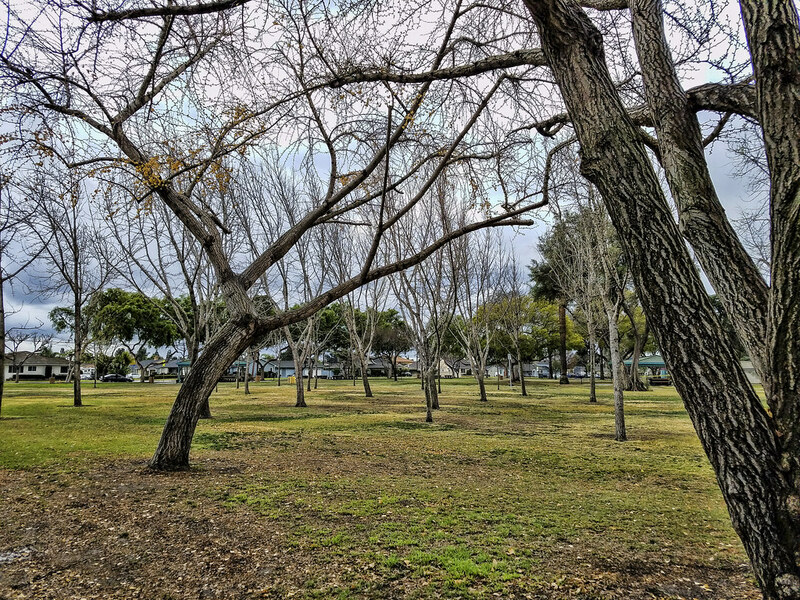 Although Downey is in moderate—normally sunny—southern California, here you can see the trees in the northeast corner of Furman Park looking very naked and wintry. All this fits with the cold, rainy weather we have had in the last couple of weeks. These trees are part of the Memorial Grove planted here by the DAR (Daughters of the American Revolution). You can see more in this DDP post.